Tyler Russell has been telling stories his whole life. In elementary school, he won a national award for a children’s book he wrote, and he has been writing ever since. In 2015 he graduated college with a BFA from Lipscomb University. Soon after, he sold his first screenplay, Karen Kingsbury’s Maggie’s Christmas Miracle, which premiered in December of 2017 on Hallmark. Along with screenplays and novels, Tyler is a songwriter, singer, actor, and creative who lives in Nashville, Tennessee, where he enjoys serving his church, adventuring around the city, and spending time with his family. 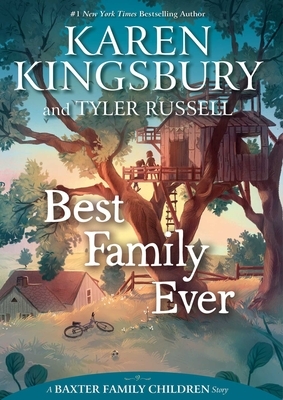 In this middle grade novel, co-written with the author’s son, the story follows the viewpoint of the Baxter sisters, Ashley and Kari, as they share what it is like to live with the “best family ever.”...Recommended for libraries/classrooms with students who enjoy lighthearted and wholesome realistic fiction. The Baxters pray and find solace in God while navigating relatable and realistic life changes in this slice-of-life tale.